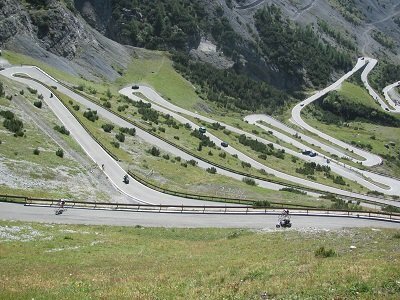 At 2757m high, the Stelvio Pass (“Passo dello Stelvio”) is the highest paved mountain pass in the Eastern Alps, and the second highest in the whole of the Alps. 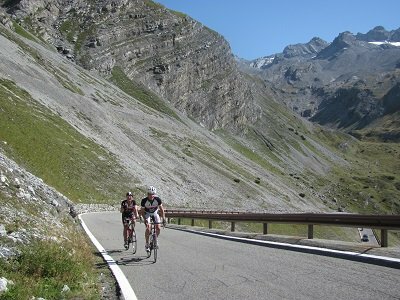 Our 4-day route starts in Treviso, and includes highlights such as three 100-mile days, accommodation on the shores of Lake Garda, and of course, the famous Stelvio Pass. Not for the faint hearted, this is a serious ride in serious terrain. Fly into Venice-Treviso airport and transfer to overnight accommodation. Depending on flight schedules, we have dinner in a local restaurant, where you will have a chance to meet your guides and the rest of the pie crew. After a fuelling breakfast, we cycle out of Treviso, climbing gradually to the first main climb, the Sella di Roa. We follow the 2012 Giro D’Italia route for 100km, before turning west towards Lake Garda, and finishing at the village of Caldonazzo, close to the shores of Lake Caldanazzo and Lake Levico. Another 100 mile day, although the majority of climbing is over before the first stop. Our route takes us around the eastern side of the beautiful Lake Garda, for a relatively flat final 100km. We finish the day at Gardone Riviera on the western side of the lake, with accommodation and evening meal in Gardone. The final 100mile day! We head south west away from Lake Garda and into slightly flatter terrain, before heading north into the mountains again at Lake Iseo. Much of the afternoon is spent climbing towards our overnight stop at Edolo. This is where the training counts! A shorter day in terms of distance, but with the added challenge of the Stelvio Pass. 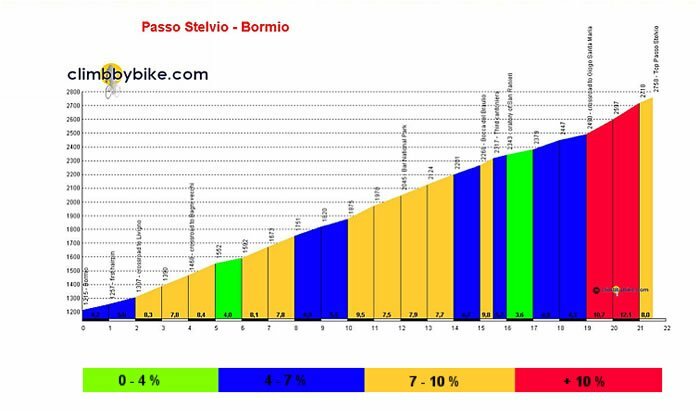 We attack it from the Bormio side, gaining over 1500m in elevation in 21.5km. Save some energy for the final few kilometres – this is where the pass is at its steepest (over 10%), but the views from the top are well worth the effort! A celebration meal awaits those returning, with overnight accommodation in the ski resort of Bormio. Transfer to airport for the flight home, and a well-earned rest.